One-on-one music therapy sessions focus on addressing clinical, academic, and/or therapeutic goals through evidence-based interventions. Detailed, thorough, and compassionate treatment from a Board-Certified music therapist creates an environment of safety and growth, enabling our clients to reach their specific goals through music therapy techniques. All music therapy services are customized to the individual’s needs before the first session ever begins. 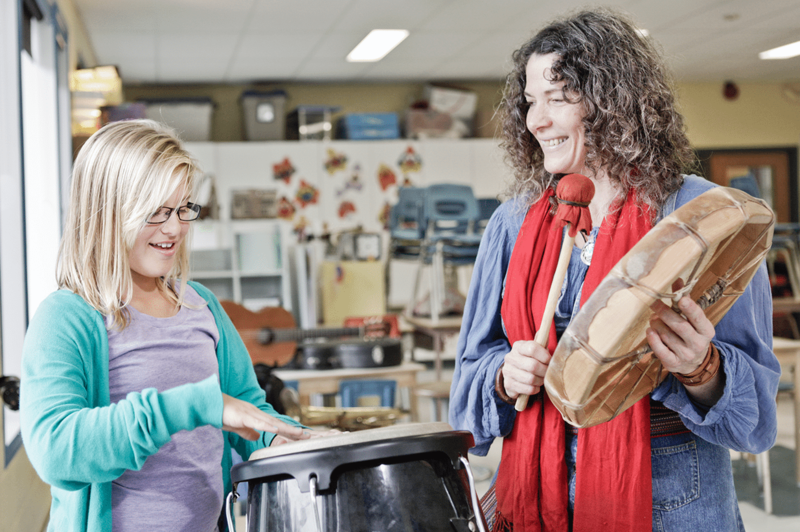 All music therapy treatment includes an initial clinical assessment with one of our board-certified music therapists; development of a treatment plan with input from family, care partners, other health specialists, client, and music therapist; and ongoing support and assessment throughout the therapeutic process. New clients are evaluated during a sixty-minute initial session to determine the abilities of the individual across multiple domains of health and wellness. After the assessment is completed, recommendations are discussed and a treatment plan is put into place. Speak With A Board-Certified Music Therapist Today.